Mum is the best! To celebrate this, give her a gift that will last a lifetime. At KAYA you will find a great selection of silver mummy jewellery that is made especially for her! KAYA is known for its affordable prices and fast shipping (even including engraving). Celebrate Motherhood with jewellery that tells your family's story. All mum jewellery is made of Sterling Silver. 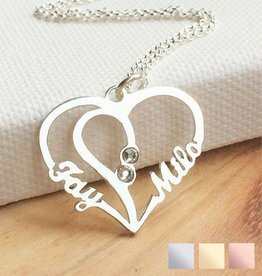 Personalized necklace made of 925 sterling silver. 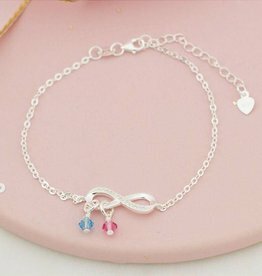 Infinity bracelet made of 925 sterling silver. 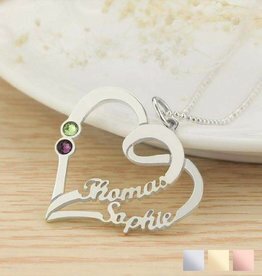 Silver Necklace with two names + birthstones. 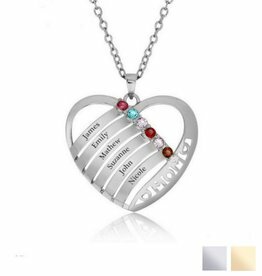 Silver Necklace with three names + birthstones. 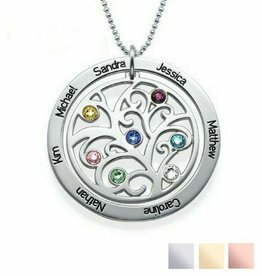 Silver Necklace with 6 birthstones + names. 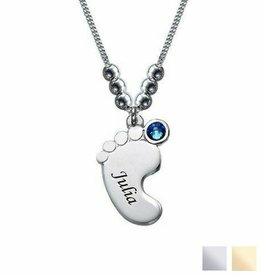 Silver Necklace with baby foot pendant. 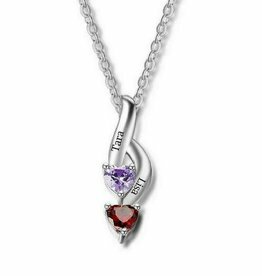 Silver Necklace with two engravings + heart shaped birthstone. 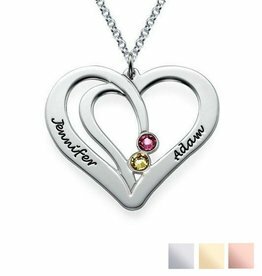 Silver Necklace with three names + heart shaped birthstones. 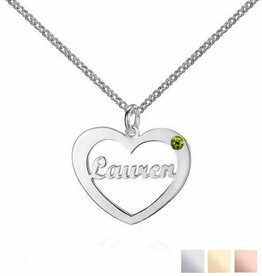 Silver Necklace with two names + heart shaped birthstones. 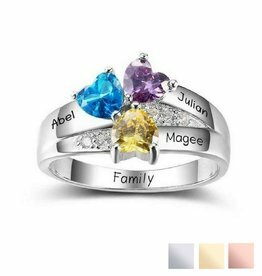 Ring of sterling silver with two names and 2 shiny stones. 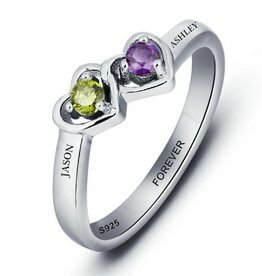 Ring of sterling silver with three birthstones shaped as hearts and place for 3 names. 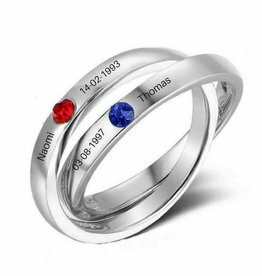 Ring of sterling silver with two birthstones and four names/dates. A birthstone is a gemstone that represents a person's month of birth. 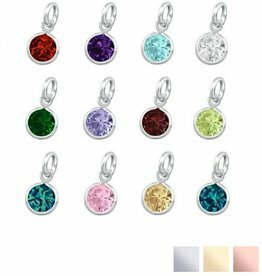 Birthstones are often worn as jewellery and as pendants. 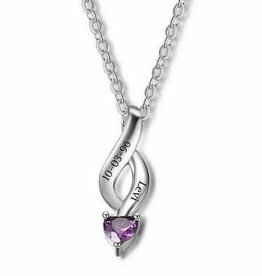 It is a perfect gift for honoring someone special, or a beautiful birthday gift. 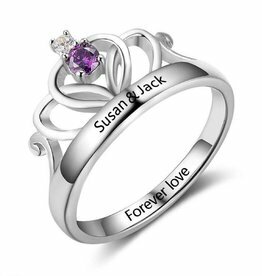 So, we have designed necklaces, rings which includes birthstones, which will be a great reminder for someone special who will wear it. Thus, it is a symbol of friendship, power and happiness. 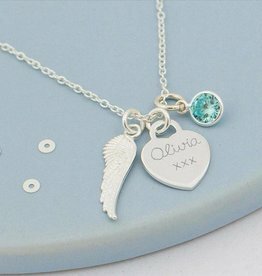 You can make this gift for your mum even more personal by getting her children's names engraved. 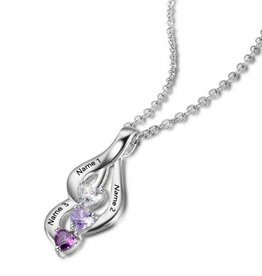 New in KAYA's Mum Jewellery, is the Words of Love collection: a sterling silver washer pendant engraved with meaningful words of love. 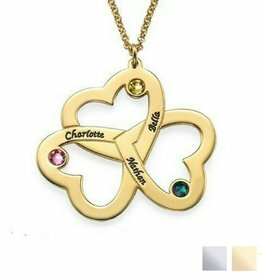 There are different texts to choose from and you can add a special charm to further personalise this trendy jewellery. All our mummy jewellery, clasps, charms and hangers are made of .925 silver. 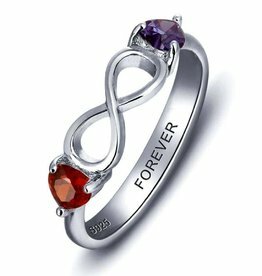 So, you will give her a gift that lasts forever. We will give you a complimentary special polishing cloth for your jewellery so that it can always shine like it's new! 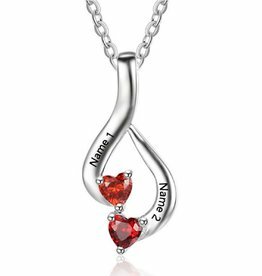 Wear your loved one close to your heart. 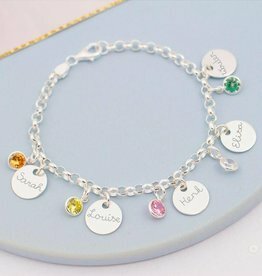 Mum jewellery, jewellery with names, charms of your children’s names, birth hangers, and much more! This jewellery is exclusively made for KAYA by jewellers with years of experience in manufacturing and engraving high quality jewellery. With extreme precision they engrave your name, date, etc. on your jewellery. Many well-known jewellers are served by this workshop, and now they engrave mummy jewellery for our KAYA collection. 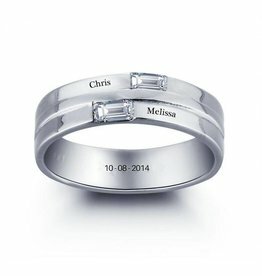 Choose to engrave your children's names with their birth dates or just all the names of your family. So you can wear them close to your heart. Our path my change as life goes along, but our bond as family or mother and daughter will remain forever strong. 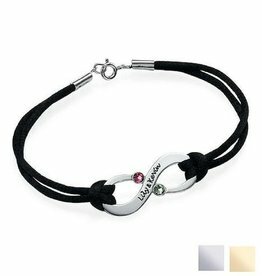 Express togetherness wand never-ending love with our beautiful family jewellery. 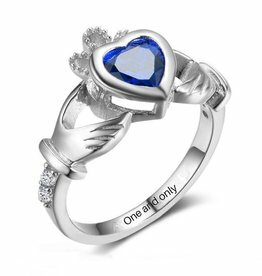 Personalize with your choice of birthstones and engraving.